Ent. Gist : Duncan Mighty Is Currently The Most Featured Singer In Nigeria. HomeRave Of The MomentEnt. 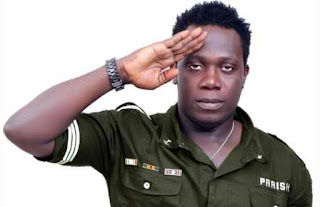 Gist : Duncan Mighty Is Currently The Most Featured Singer In Nigeria. music producer from Obio-Akpor , Rivers State . Though his musical style demonstrates a high-level of genre versatility, it is also heavily influenced by the sounds and culture of his people as most of his songs are sung in his native Ikwerre tongue. This veteran has four albums to his credit and many hit single that has distinguished him and made him unique. He is known to be lyrical with his very friendly and melodious voice. Duncan has all this very good qualities but has never gotten to this height of fame across the nation and the globe as a whole. Before the release of his latest single FAKE LOVE FT WIZKID, StarBoy had made brandishing and glorifying comments on social media about him, he even said Duncan Mighty is a legend because of the encounter they had in the studio during their recording session. After the release, the song has been on top trends in different platforms across the world. We also so an enormous crowd singing along in Wizkid just concluded London Concert. To add he has launched a TV station that will be starting operation very soon in Rivers State. Wene Mighty is one of my favorite singers that’s why I will urge you to support him on his path to utmost fame and success.